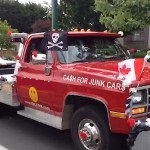 At Cash for Junk Cars Victoria, we know that disposing of your scrap / junk vehicle can sometimes be an emotional experience, so we make getting rid of your unwanted junk vehicle hassle free, fast and easy. All it takes is an email or phone call to us. Provide a brief description of your vehicle – this will include its make, year, condition of tires, and whether it’s a runner or not. Once we receive this information, we will make you an offer for your vehicle. If you accept our offer, we will schedule a time that is convenient for you so that we can collect your vehicle. 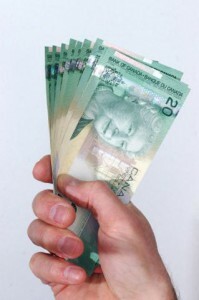 We will pay you cash at the time we pick-up your vehicle. If you want to keep your tires, stereo, etc., we will make arrangements with you to have them delivered to your preferred location. We will then dispose of (recycle) your vehicle in an Eco-friendly manner. 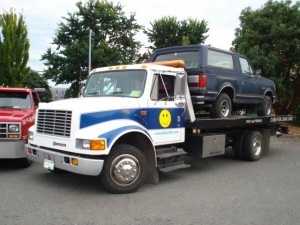 In addition to junk car removal, we offer short and long distance vehicle and equipment retail tows from Victoria, to the Southern Gulf Islands, Duncan, Cowichan, Nanaimo, and surrounding areas. Call us now at 250-888-5050 to get started. We offer the highest price for your junk/scrap car and we pay you cash at the time of pick-up.The amount of cash that you will receive for your junk vehicle dependents on variables such as the vehicle’s tire condition, mileage, make, year, weight, sell-able parts, location etc. Get the most for your vehicle plus your free tow away! We have lots of auto parts in stock that might be give you just what you are looking for. If we don’t have it, we will recommend another business that might be able to help you. Call us today at 250-888-5050 to get started.